A cute and decorative wall sticker. A trompe l'oeil wall sticker. 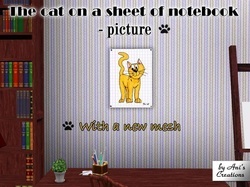 A cute cat picture on a notebook sheet.